same as any other medical practice, subject to regulation and following the poll will be reviewing their future work relating to termination of pregnancy legislation. Have you terminated a pregnancy in Great Britain? Sharing your personal experience is powerful, and they need to hear from you. Filling out the quick, confidential survey at this link will help them advocate better for improved access to abortion services in the future, and they would really appreciate your input. Click here: https://www.surveymonkey.com/r/fGB_access if you wish to participate. Whilst NUPAS fully recognizes Mr Rees-Moggs personal opinions, MPs should recognise and respect that despite personal opinion, the law states that every woman should have control over her own body and her fertility in relation to whether to continue with a pregnancy or not, as described in the 1967 Abortion Act. This should not be overruled by the opinions of individuals in charge of making parliamentary decisions. Abortion is an individual’s choice, and opinions against it are very often overruled by religious beliefs when a women finds herself in an unplanned situation. NUPAS continues to advocate the right for women to access safe abortion services and believes that is it a fundamental healthcare right for women wherever they live. NUPAS are pleased to confirm that, following the landmark announcement last week that women from Northern Ireland will be able to access funded abortions, NUPAS will now provide abortions to women travelling from Northern Ireland at no charge with immediate effect. NUPAS provides pregnancy testing, pregnancy counselling, abortion treatments, contraception and STI screening. Today more than 50 MPs from the major parties backed a call for Northern Irish women to have abortions for free in England – they currently have to pay. NUPAS provide a conﬁdential service to ensure informed choices around pregnancy, contraception and sexual health; they have been a keen advocate for women’s rights and have provided advice and support to women from Northern Ireland for the last 35 years. NUPAS offer pregnancy counselling, abortion treatments, contraception and STI screening with compassion and care. Is it right that women in Northern Ireland currently face financial challenges to access a service that is free at the point of care to other women in the UK? We at NUPAS don’t think that it is. We support the rights of all women to access safe abortion services. Major break through in testing of a new male contraceptive. The male contraceptive jab was 96% effective in a year-long trial. The injected male contraceptive lowers sperm count and in a global test involving 350 men and their partners. Only four pregnancies occurred. 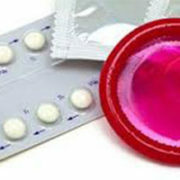 There were still few side effects, including muscle pain mood swings and depression, as well as increased libido. The National Unplanned Pregnancy Advisory Service (NUPAS) would like to assure women wanting to access termination of pregnancy services that it is our priority is to ensure that patients get safe, high-quality and compassionate care. We have worked with the Care Quality Commission since February 2016 to ensure that all our services have been inspected under the new and in-depth inspection regime. Aaron Flaherty, Head of Clinical Services said – “In light of recent events with Marie Stopes, We have increased our capacity to meet the demands of the service. NUPAS are working with NHS England and other providers to ensure that levels of disruption are kept to a minimum. Women should be assured that they will be able to access our safe service quickly and without any barriers”. Our confidential helpline can answer any questions or concerns for women affected by this from within and outside the UK. https://www.nupas.co.uk/wp-content/uploads/2017/01/Nupas-Logo-Square-300x300.png 300 300 NUPAS https://www.nupas.co.uk/wp-content/uploads/2017/07/Header-Logo.png NUPAS2016-11-28 00:54:082018-09-05 15:50:12High Quality of Care!